Three Well-Known Applications of Radiation Shielding Hinges – Kielser Machine Inc. Radiation shielding hinges are designed to support applications in medical, laboratory, and industrial environments. 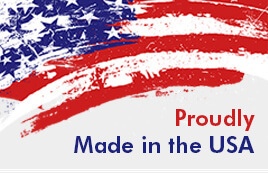 They are manufactured using high performance materials like stainless steel and other metal alloys. Hence, they are known for functionality, performance durability, and long service life. 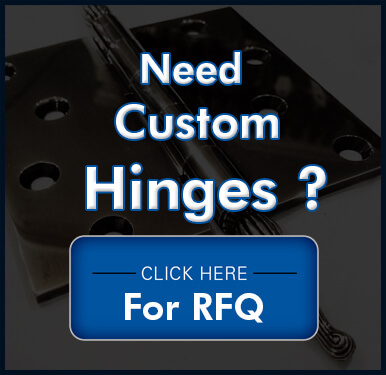 The hinges can be designed in a variety of thicknesses, heights, widths, and finishes. They can also be designed for applications with different weight loads. These eclectic features and benefits make radiation shielding hinges ideal for a variety of industrial applications. In this post, we provide a few examples of these applications. 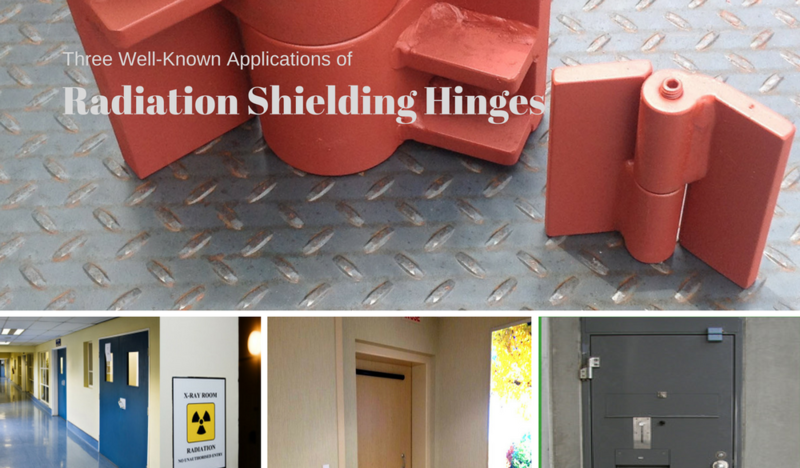 Given below are some well-known applications that utilize shielding hinges. X-Rays: Industrial and medical x-ray machines utilize high levels of radiation to capture images of industrial components and a patient’s body part. Radiation shielding hinges consist of lift designs, and are designed with hardened steel pins, and without mounting holes. The hinges are also acid and corrosion proof. These features ensure that the hinges can take the weight of the protective doors, while ensuring that no radiation escapes the x-ray room. Jail Doors: In prisons, jail doors are constructed out of hardened steel metal bars. While this makes them extremely heavy, jail doors experience high traffic, and are opened and closed regularly. 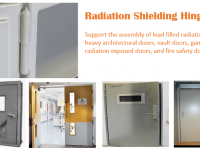 Custom radiation shielding hinges are ideal for this application. The hinges are designed with a mortise mount design. The entire hinge, including the stud and the pin, are made from 304 stainless steel. One hinge leaf is attached to the stud, while the leaf can be easily connected. The design ensures that the door cannot be removed, even if the pin is removed. These hinges have a smooth 180o motion, and can resist up to 200 lbs. of force. Laboratories: Hinges are used to support laboratory doors as well as the lids of different lab equipment. Generally radiation shielding hinges are manufactured in strap and continuous hinge designs. Strap hinges are generally used for laboratory doors, as they are capable of holding immense weights. Continuous hinges are used for laboratory equipment, as they distribute the weight of lids or doors evenly. They are also easy to align and install on equipment like lab ovens and blood analyzers. The ease of design and manufacturing, coupled with specific features and benefits of radiation shielding hinges make them the perfect solution for such heavy duty applications. Click here if you would like to know more about these hinge products. 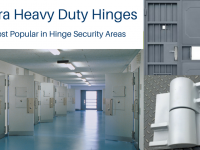 What Factors Make Extra Heavy Duty Door Hinges Popular in High Security Areas?